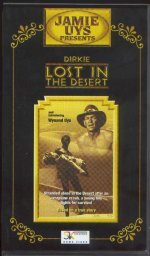 Filmed in the most dangerous wastelands, the Kalahari Desert, the film is the creation of Jamie Uys, who later went on to make the classic "The Gods Must Be Crazy" films. Dirkie is a story of suspense, conflict and incredible human courage as an 8 year old boy and his dog are left to face this vast wasteland alone after an aeroplane crash while an army of men and machines penetrate the desert searching for them. The film is based on true events and is sure to hold you spellbound! Dirkie, the boy, is played by Wynand Uys. Many remember this film on tv back in the 70's and is sure to bring back haunting memories.